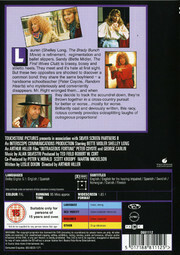 Komedi från 1987 av Arthur Hiller med Bette Midler och Shelley Long. Lauren (Shelly Long, "The Brady Bunch Movie"), is refinement, regimentation, and ballet slippers. Sandy (Bette Midler, "The First Wives Club") is brassy, bossy, and stiletto heels. They meet and it's hate at first sight. But these two opposites are shocked to discover a common bond: they share the same boyfriend - a handsome schoolteacher (Pete Coyote, "Random Hearts") who mysteriously and conveniently disappears. Mr. Right wronged them ... and when they decide to track the scoundrel down, they're thrown together in a cross-country pursuit for better or worse ... mostly for worse. 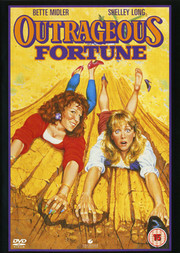 Brilliantly cast and deviously written, this racy, riotous comedy provides sidesplitting laughs of outrageous portions!